The adage ‘when it rains, it pours’ rings dramatically true for Sara Ali Khan, who makes her acting debut on December 6 with ‘Kedarnath’, a turbulent love story set against the backdrop of the 2013 Uttarakhand floods. Two weeks later, actor Saif Ali Khan and Amrita Singh’s daughter will roll out her second film ‘Simmba’, a flashy entertainer led by Bollywood’s man-of-the-moment Ranveer Singh. But she isn’t letting the pressure get to her. When Gulf News tabloid! met her at a hotel in Mumbai, the 20-something had just finished a hectic day that began with the trailer launch of ‘Simmba’ and concluded with umpteen interviews plugging her projects. The Columbia University graduate cut a portrait of calm and composure and the moment she knew that our interview wasn’t televised, she kicked off her heels and sat cross-legged on the bed with a cup of warm water. Nursing the black cup in her hands, she put all the noise around her acting debut in perspective. Her two films up for release — ‘Kedarnath’ (December 6) and ‘Simmba’ (December 27) — belong to two different genres. While her first film is a romance set against a natural disaster, the second one is an out-and-out commercial film led by Singh as a swashbuckling, roguish cop. 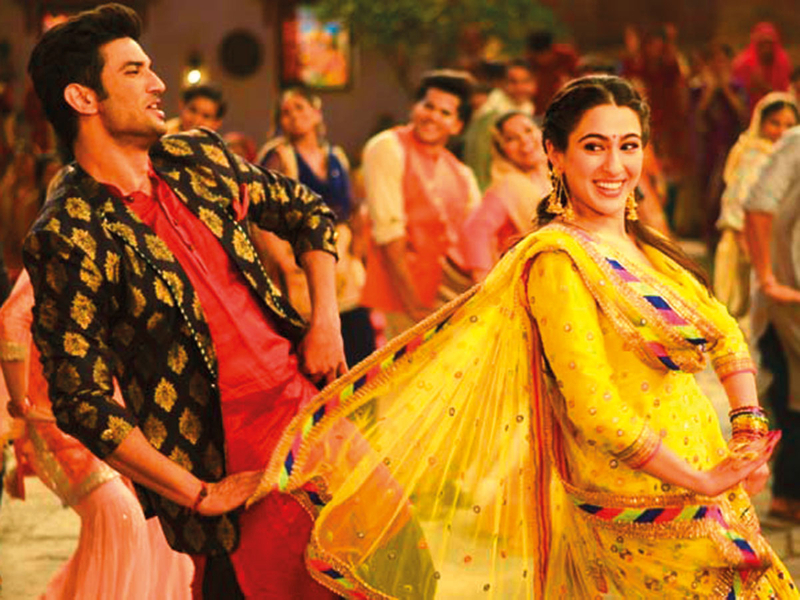 So, why did she choose ‘Kedarnath’ as her Bollywood debut? “Stories like ‘Kedarnath’ deserve to be told. When I heard the narration, I couldn’t imagine not doing a film like this because there’s a certain commonality. It’s a story about love and innocence,” said Khan. 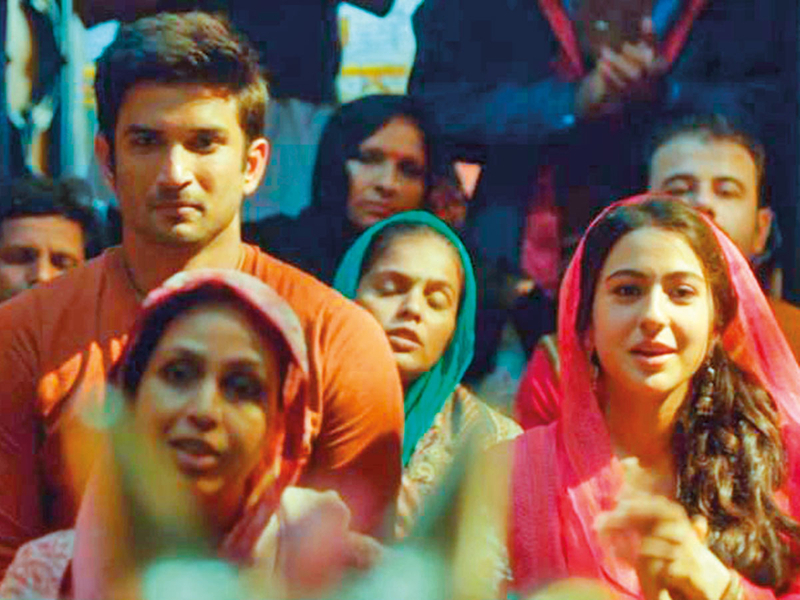 In the film, she plays a Hindu priest’s daughter who falls in love with a Muslim ‘pittu’, [a person who carries pilgrims on his shoulders till the place of worship high up], played by Sushant Singh Rajput. The Hindu-Muslim love story, directed by Abhishek Kapoor, has led to protests from religious outfits in India calling for its ban. However, Khan is certain that ‘Kedarnath’ serves a higher purpose and ambition. Where there is privilege, There's pressure and comparisons. You just have to own it and live your life honestly. Asked if she was hesitant to explore the tricky terrain of religious divides through a love story, Khan is certain that her film shows how people come together in the face of calamity. “Religion may be seen as a divisive thing. But what we are trying to underline is that when push comes to shove, your caste, your religion and your identity doesn’t count… A calamity or a natural disaster can sometimes be the biggest leveller,” she said. In comparison to ‘Kedarnath’, which comes across as a creative experiment and gamble, her second film ‘Simmba’ seems like a safer bet. ‘Simmba’ director Rohit Shetty is known as Bollywood’s hit machine who has aced the formulaic ‘masala’ entertainers. Out of his 12 directorial ventures, 10 have been blockbusters. It’s no secret that Khan’s true calling was cinema, although she has a degree in political science from an Ivy League college. The actress tells us that she has been constantly ribbed about it since acting is a profession that doesn’t demand any kind of formal education. “I feel that education is not a means to my career, but it enables you to be the person that you are. It’s the lens that gives you a view to the world in a certain way. It allows you to feel like you belong. Education gives you confidence and eloquence… Trust me, being educated can never go waste. I realise that I am 23 and not 17 now. But times are different,” said Khan, who also harbours political ambitions in the distant future. While ‘Kedarnath’ transports you into a rustic world of pilgrims and innocent lovers, ‘Simmba’ tackles the grim reality of sexual violence against women. It’s the tale of a rogue cop who turns good when a woman is sexually violated. So, what’s Khan’s message to all the women out there? It’s evident that Khan is passionate about this subject, but she claims we need to watch ‘Simmba’ to find out more. While the majority have been welcoming towards her, there’s always the rumblings of ‘nepotism’ and ‘privilege’ that swirl around her. She has just one request. Sara Ali Khan, who lost a huge amount of weight, before her acting debut doesn’t believe in extreme diets like Keto.